Samsung wowed the world with the introduction of the Samsung Galaxy A80 with rotating triple camera system. 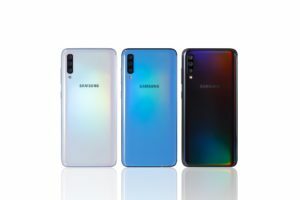 But that’s not the only phone the company announced during their recent A Galaxy Event, Samsung also introduced the Galaxy A70 smartphone. The newest addition to the popular Galaxy A range, the Samsung Galaxy A70 boasts stylish design, large infinity display, enhanced triple camera, powerful battery, and seamless connectivity. Carrying the biggest screen in the Galaxy A line to date, the Galaxy A70 features a 6.7-inch Infinity-U display. The screen offers a 20:9 display ratio, edge-to-edge viewing experience, and an overall sleek and ergonomic design. For faster phone unlocking, this phone already sports an on-screen fingerprint scanner. The fingerprint unlock comes with Samsung Pass and Samsung Knox. 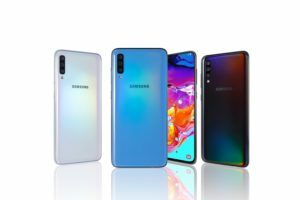 The new Samsung A Series phone touts a triple rear camera setup that includes: a 32MP super high-resolution lens; a Depth Lens; and an 8MP Ultra Wide Lens. The 32MP shooter in front takes care of your selfies. 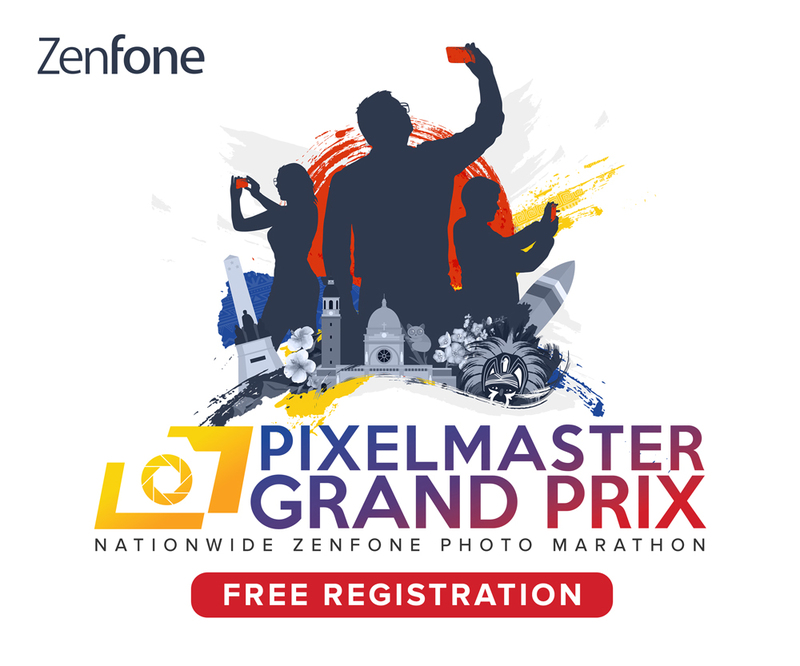 In addition, the camera comes with Scene Optimizer, which recognizes and intuitively enhances up to 20 scenes. There’s also the Flaw Detection feature to automatically identify glitches before you click capture. The Galaxy A70 also showcases Samsung’s One UI. Features of the One UI include One Handed Navigation, Night Mode, and App Timer. Of course, the Samsung smartphones’ must-haves, like Samsung Health and Bixby, are also available. Powering the Samsung Galaxy A70 is a huge 4500mAh battery with Super-Fast Charging support at 25W. Available in stylish prism blue, black, and white colors, the Samsung Galaxy A70 will soon hit the markets this May. However, no word yet on the local pricing and availability.